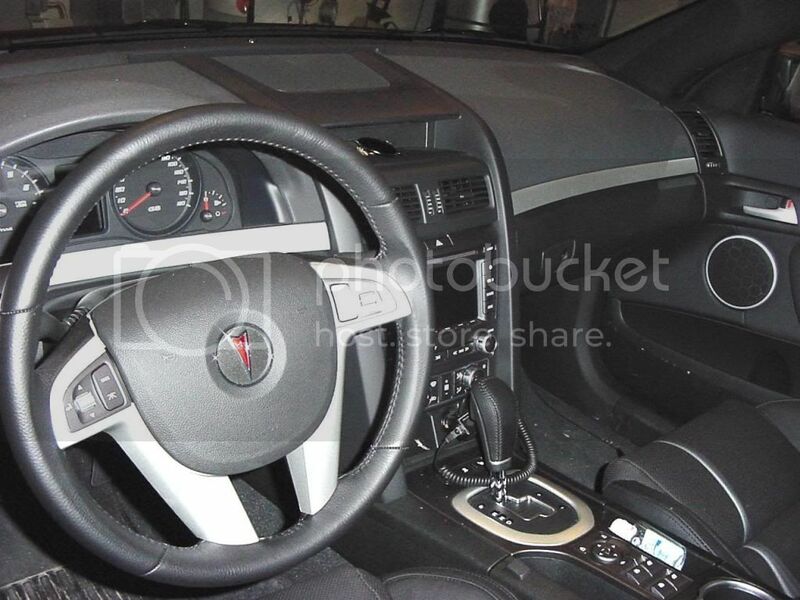 The one piece you see in the picture is a G8 with the fabric seats ,cheap radio,etc... So i'm guessing if you have the cheap interior you get the one piece cover. I didn't know there was a 2-piece engine cover. I have the same options that you have and I have a 1-piece cover. 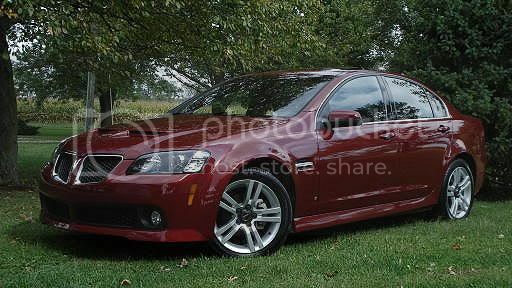 Really?Hmmm.....then i'm not sure why some G8's come with the 1 or 2 piece.This is what mine looks like. 1969 Corvette Vert, modded 355 c.i. Thats crazy ! 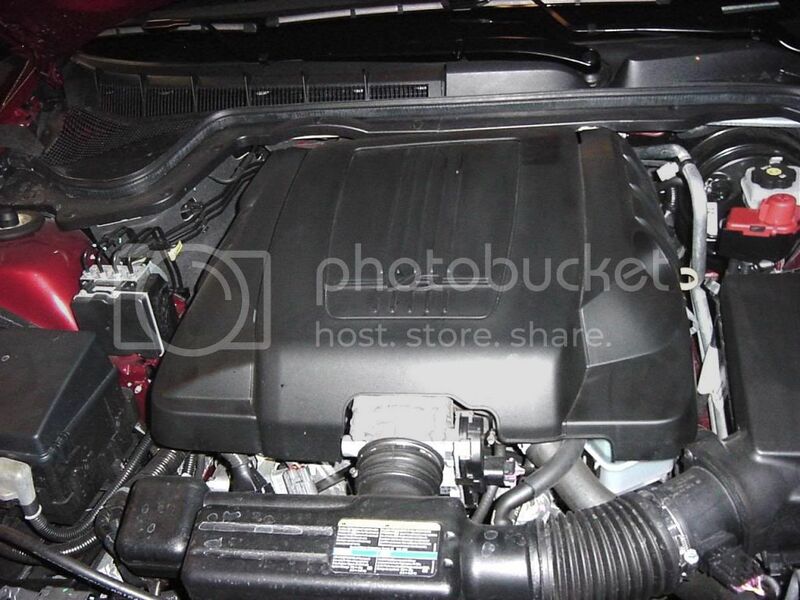 Exact same color,year,engine and interior as mine,but different engine covers.Wish i had an answer for this one.GM must of did it for some reason.Mine was built in 2008(06/08 i believe) but is still considered an 09. That is really curious. Mine was built 9/08. It's a real shame to cover up that intake. It looks like they tried to expose the aluminum intake while covering the other stuff. They probably ran out of that style of cover. I'll bet that intake manifold would polish up like crazy if someone had the time and ambition. The only other thing i can think of is being built in Canada and US.I live in Canada and i can't override my automatic headlights where in US you can by simply turning the switch one notch to the right.Canada-2 piece cover US-1 piece cover.Just a guess. You and I have the same car (options wise) and I have the full one piece "cheap plastic" cover. The G8 was built in Australia so it shouldn't matter which country it's exported to. There are ways of disabling DRL's. In general it can be as simple as pulling a relay. Search around this board for specifics for the G8. I have a 2009, it has a one piece cover, and mine is fully loaded as well. For awhile Ithought you had cut your cover and just put the side pieces on. Well ain't that special. How does the side pieces attach to your engine? The reason I ask, is that if you have the Pedders Strut Tower Brace, you must remove it, to remove the 1 piece cover, to get to the oil filter. I have an 08 entry level it has a 2 piece engine cover plus I live in the US. Not shure about build date but was received by dealer June of 08. I have a 09 V6. Comfort and Sound PKG. with a sunroof and it has a 2 piece cover. Also it's a Canadian car. And you wonder why GM had trouble. Their parts inventory warehouse must have been like a trash dumpster. Need a part, reach in and pull one out. Mine is an '09 w/2 piece cover. I live in the US. GT brake upgrade: painted G2 black w/BrakePerformance slotted rotors and Hawk ceramic pads. I have an 08 built in Feb. 08 and I am glad to have the 2 piece cover. I'm sorry, but the one piece just looks cheap. As for mounting, there are a couple pins that the cover pops onto and you only have to remove the left side for the filter. And I'm in the US. I know my window sticker showed the engine built in Australia. Is there a chance that some of these single cover V6's were built elsewhere? I think the V6 engine sounds great with the 2 piece.No complaints here.I do know the 2.2 litre ecotec engine was later covered up with a cover with insulation due to complaints about the noise.I used to own one and without the cover they sounded very top end noisy,but it was a normal. As someone posted before, my car's engine was built in th U.S. It has a one piece cover. While it appears that those built in OZ have the 2 piece covers. Our '08 "entry level" we bought last year has the 2 piece covers. It is odd that they would have 2 different covers for the same engine. You would think they would use only a 2 pc. cover to help alleviate heat buildup around the intake manifold. '04 GTO Cosmos Purple M6, '05 Hood and Brakes, SAP Grills and spoiler, Procharger, TrickFlow 515 hp H/C Kit, SLP LT's/LM II exhaust, drag bags, SCSS Gauge pod, CV8R Wheels, GMM Ripshifter.